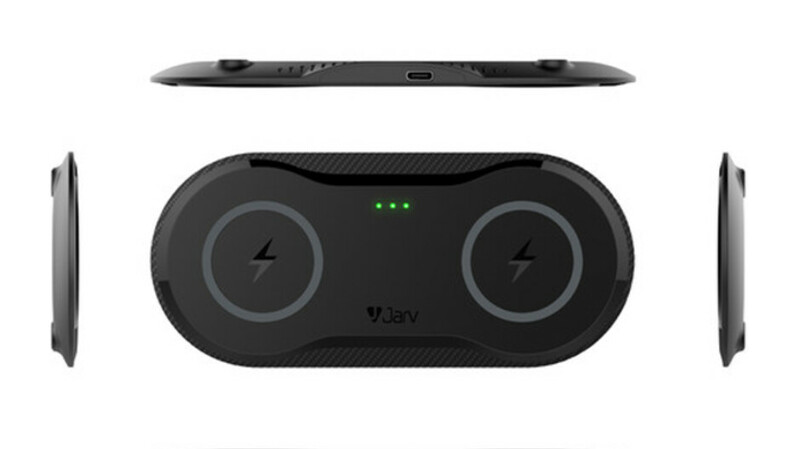 This Qi-enabled dual 10W wireless charging pad is $25 (50%) off, deal ends today! Deal alert! B&H Photo Video is selling a dual wireless charging pad at a great discount! This model typically retails for $50, but if you buy it within the next 16 hours, you can save $25 or 50%! The charger features two separate charging pads, each capable of delivering up to 10W of power. It's compatible with both iOS and Android devices, making it a great purchase for those of you living in households with multiple smartphone owners. Built-in safety features include protection from over-voltage, short-circuits, over-current, and over-heating. A 5V 3A AC wall adaptor and a 5-feet type-C USB cable are included. Shipping is free, and a standard 1-year warranty is also on board. If you're interested, we'd suggest acting fast, as the deal expires in less than 16 hours from the time of writing.